Though being petite at the legs and long on the torso may make the tricky task of finding the perfect denim seemingly impossible, the right baby blues are waiting for you, once you know what to look for. Here’s the rundown on what to look for in jeans for short legs. Avoid low-rise denim, which visually shortens your legs. Instead, opt for a high-rise jean that hits at your natural waist (the narrowest point) and manages to steal length from the torso and add it to the leg line for optimal proportions. What to look for: High rise denim that hits at your natural waist. Having the right inseam on your denim makes all the difference when finding the best jeans for short legs. Both your overall height and legs inseam should dictate, within a few inches, where your denim’s hemline should fall. Be sure you get as close to the ankle as possible to utilize every inch of visual leg line! What to look for: Take advantage of every inch of leg that you have with jeans that hit at your ankle or below. The more solid your denim’s wash, the longer your leg line becomes. This goes for colored denim and even prints too. Avoid washes with whiskering or fading & stick to a consistent wash, color or print all the way down the leg so as not to unnecessarily break up that precious length. 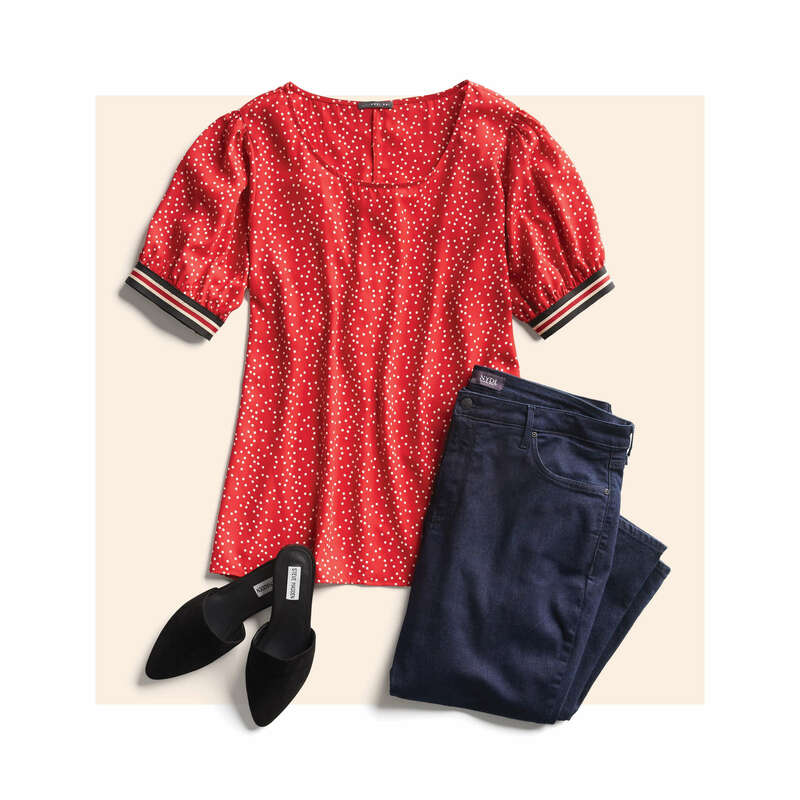 What to look for: Keep your legs looking long with solid-colored denim or small prints. Keep whiskered denim to a minimal. 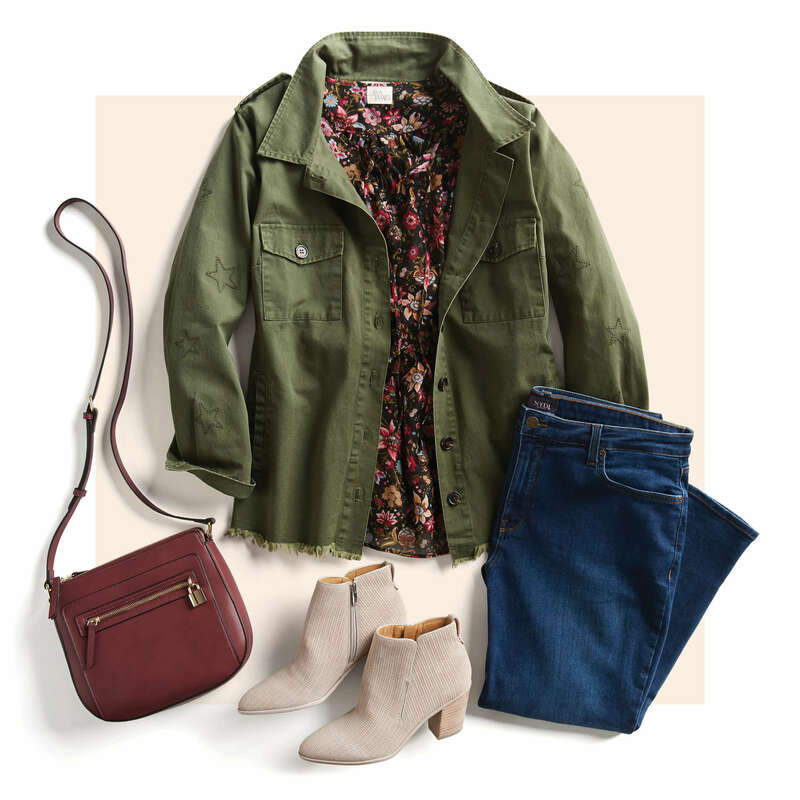 When it comes to of-the-moment looks like culottes and wide-legged denim, you don’t have to opt out simply because your legs are on the petite side. How to wear cropped denim on a short leg: If you’re dying to try the culotte or cropped trend, look for jeans that reach at least ¾ down your leg line. How to wear wide leg denim with short legs: Wide-legged trousers and flared denim are also right at home on shorter legs. These styles should just graze the floor with your shoes on. Don’t be afraid to enlist a good tailor to get them just right or take advantage of the opportunity to put on a pair of heels to add height. Don’t forget to tuck in your tops and blouses into your denim to further balance out your frame. With these pro- tips close at hand, you’ll be ready to rock this core wardrobe staple. Ready for a new pair of jeans? Schedule a Fix and we’ll find your new favorite pair.